April 15th is coming up and you know what that means…Tax Day! It’s time to face the paperwork, but for most people this also includes a hefty tax refund– not so bad after all, eh? Did you know that April 15th is not the due date for every state in America? Find out why and more in this blog post, which covers 10 interesting facts you didn’t know about taxes! 2. While we all have April 15th marked in our calendars, the residents of Maine and Massachusetts get two extra days. This is because April 15th is Patriot’s Day, which is a holiday in both states, while April 16th is Emancipation Day in Washington, DC, where the IRS is located, giving them an extra day. 4. There are more words in the tax code than there are in the Bible. The tax code has over 4 million words– some even say it is 70,000 pages long, though that’s never been proven. 5. The IRS receives over 130 million tax returns each year. To keep up with this demand, the IRS has more employees than the Federal Bureau of Investigation. 6. In 2016 alone, Americans unanimously spent about 6.1 billion hours on tax preparation softwares like TurboTax and H&R Block. 7. Did you know that New York has the highest corporate income tax in the world? 8. In 1934, Nelson Rockefeller earned over 5 million dollars, which placed him all alone in the US’ highest tax income bracket (63%) in 1935. 9. The wealthiest 1% of America’s population pays 37% of the total tax income of the whole country. If you’re like most Americans still waiting for a cash refund but you need some quick cash in the meantime, visit Provident Loan Society and exchange your jewels for a cash. 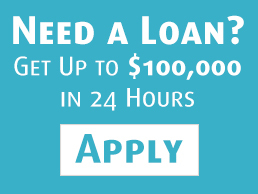 Provident Loan Society offers cash loans up to $100,000 dollars in less than 20 minutes. no thoughts on "10 Interesting Facts You Didn’t Know About Taxes"